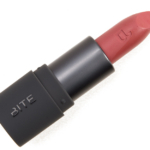 Bite Beauty Amuse Bouche Lipstick is a lipstick that retails for $26.00 and contains 0.15 oz. 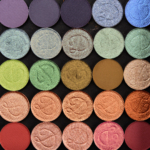 There have been 84 shades released, which you can select from below or jump to these sections: Review, or Description. 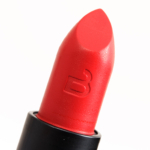 Bite Beauty Amuse Bouche Lipstick ($26.00 for 0.15 oz.) 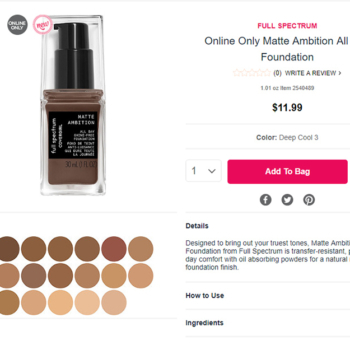 is supposed to have “bold, creamy color” with “extreme moisture, soft texture, and creamy wear.” The majority of the range is very pigmented–typically opaque with one pass–with a few shades being semi-opaque but usually buildable. 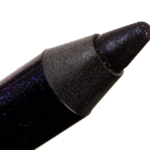 All 34 shades are shimmer-free and vary being a soft satin finish to a natural finish (light shine but not glossy). 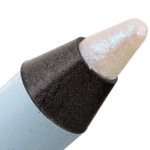 The consistency is very lightly creamy to lightly creamy with some shades requiring light-medium pressure and can pull the lip a bit when gliding it across the lips, though the color doesn’t appear ragged and the bullet itself doesn’t feel stiff (while other shades applied without tugging, so check individual shade reviews!) 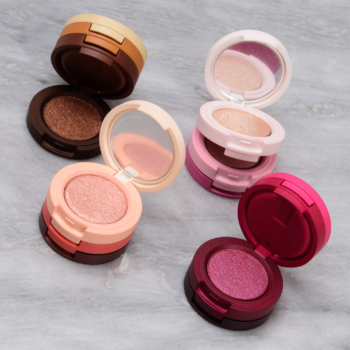 The majority of the shades I’ve tested have been lightly hydrating to non-drying and fairly comfortable to wear for the long-haul. They wear longer than average, from four to eight hours, depending on the intensity and propensity of the shade to stain. By Tara 2 months ago. Such a unique and cool color. It was somewhat tricky to line my lips nicely and took a few minutes (and some qtips). I noticed some color disappearing from the center of my lips after a brief conversation. However, reapplying was easy. It felt slightly moisturizing while worn. I don’t believe I am prone to feathering, but nevertheless I did not notice any feathering. The lipstick wore off evenly and looked nice until I took it off. It has a nice lemon scent that reminds me of a certain desert I like to bake (lemon loaf)! By Quinn 3 months ago. Ughhh why does this have to be LE? 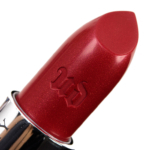 Why don't companies make more lipsticks of this color family? 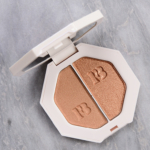 It's such a perfect medium golden yellow brown that works so well for my complexion, and this creamy, hydrating formula is killer for these mid-toned neutral lip colors. For shame Bite, for shame. By Lauren 5 months ago. Fig pulls a lot more peach on my skin tone than it does pink. 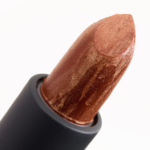 It is a one swipe highly pigmented lipstick that is quite comfortable, but I do usually blot it because the formula is quite thick. 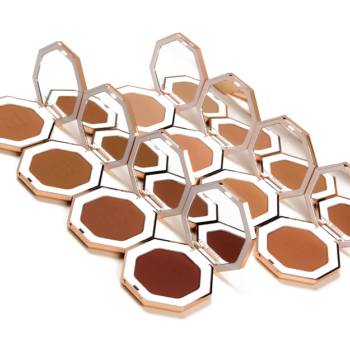 Blotting does not take away any of the pigmentation in my experience. I don't feel like this lasts very long on me... maybe a few hours if I don't eat or drink. I am not someone who minds reapplying a lipstick as long as it doesn't bleed, feather, or settle in lip lines and this does not do any of those. I have almost used up my first tube and I rarely finish an entire tube of lipstick so that is really saying something! This lipstick does have kind of a weird sweetness to it when first applied. I don't hate it, but I do think it is strange and would rather it had no taste at all. The taste goes away pretty quick after applying so not a huge bother. 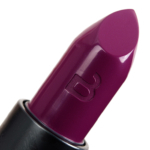 My favorite mauve lipstick! 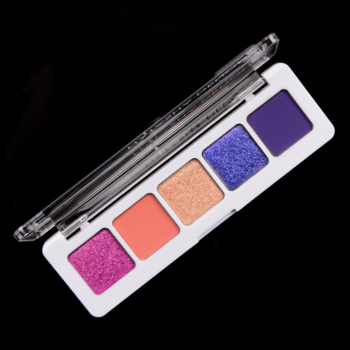 Goes on smooth with a slightly creamy texture, applies evenly and the color is buildable so you can decide how pigmented you want it. I can get around 5.5-6 hours of normal wear (including drinking) before I need to re-apply. It wears down pretty evenly but tends to settle in my lip lines if I don't apply a clear balm first. 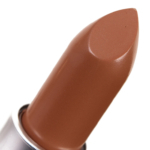 I really wanted to like this lipstick, it's nice and creamy and pretty easy to apply. Unfortunately it's not very pigmented, my natural lip color is darker than this shade and sadly the lipstick wasn't pigmented enough to show up, the color of my lips is no different with it on than it is with it off. By Katie 5 months ago. 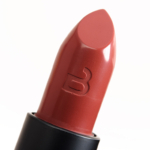 The colour is gorgeous but I don't find the formula of this Bite Beauty shade as smooth and creamy as some of their other lipsticks in the Amuse Bouche line. It's not unwearable, but I find that because of the shade in combination with the slightly patchy formula really emphasizes lip texture/lip lines. Sadly I think I will be returning this shade. By Lauren 6 months ago. I really wanted to love this lipstick. 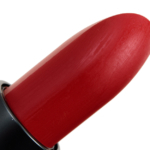 I'm a virgo and while I don't wear a ton of reds I have been wanting to add a non liquid lipstick red to my collection. I am a big fan of the Amouse Bouche lipsticks that I have in Fig and Chai so figured this would be another great formula. Unfortunately, I found that this one didn't apply smoothly (the outer edge of my lips got a really bumpy looking line) and that it feathered a lot. On a positive note it did apply with full pigment in one swipe. I tried this with a lip liner as well and that made things slightly better, but I know I can find better. The color is quite bright as well and looks much brighter on the lips than in the tube. I also didn't feel like it wore very well and it made me self conscious to wear a formula that I didn't trust to stay on my lips and not look all wonky. By Georgie 6 months ago. I love that Bite Beauty is reliable. 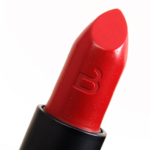 Every Amuse Bouche lipstick is dependable. 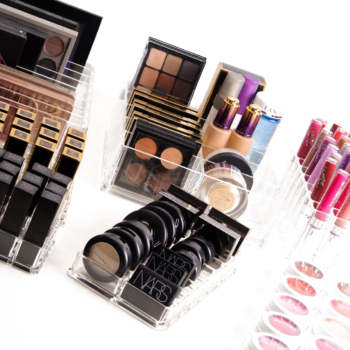 It won't move from where you apply it, doesn't need a liner, is long wearing and moisturizing. 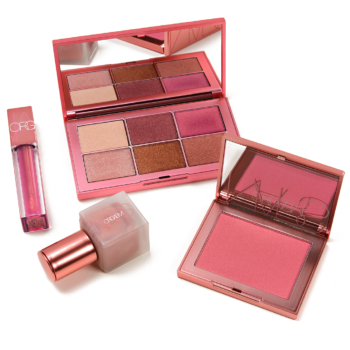 I LOVE this brand! I actually enjoy it to the point that it's long wear annoys me sometimes, because I enjoy applying the lipstick. I know that's odd..but, I'm sure someone out there gets it. By Marlee 10 months ago. I have mixed feelings on this lipstick. On one hand, the shade is so unique and pretty. But the Amuse Bouche formula seems kind of slippery to me. It's almost too moisturizing and emollient. Lasting power is therefore poor. 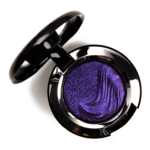 Very pigmented shade in a gorgeous formula - I don't use this shade enough to justify repurchase, but the colour is gorgeous! By Chelsea 1 year ago. Honestly I was a little disappointed in Jam. 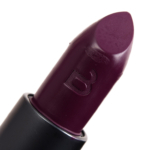 I really like the abuse bouche formula but this particular colour is tricky. If you apply it lightly it's more pink and applied heavily it's much darker. 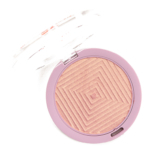 This means it can look patchy. It feels lovely on but it didn't wear nicely due to the colour changing so much as it wears away. Plus it pulled into fine lines around my mouth. I'd pass on this shade. Of the dark amuse bouche shades Liquorice wears much better. By Laura 1 year ago. 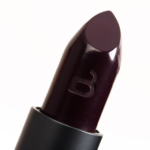 I love this lipstick! It\'s the perfect shade on me: not too light, not too dark. It goes on easily and feels creamy and moisturizing. I also love the lime scent this brand has. 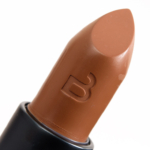 I think I found my holy grail lippie. I decided to buy an Amuse Bouche lipstick based on the amazing reviews they get. This particular shade, Rhubarb, is a close dupe to MAC's Mehr (one of my favorite MAC lipsticks), but the finish is completely different, so although the shades are close, I don't see it as a real dupe. 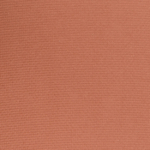 Mehr is matte, whereas Rhubarb has shine to it, giving a completely different look. 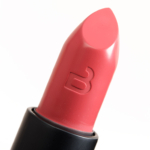 Rhubarb goes on creamy and smooth, and feels hydrating and luxurious on the lips. It was impressively long-wearing for a lipstick with this type of finish, but I did touch it up a couple times over the course of the day. There was a little feathering after a few hours, which is the reason I took away a star in the review. 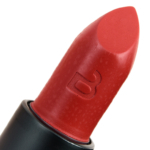 The last thing I'll mention is the gorgeous, citrus smell of this lipstick. It's subtle and not overpowering, and every once in a while I would catch a quick whiff of it as I wore it throughout the day, which was nice. I think it even had a mild citrus taste, too! Beautiful warm deep red. I love this formula and it's very consistent across colours. A perfect cool red for me. The Amuse Bouche formula is also my favourite lipstick formula and, in my experience, amazingly consistent across different colours. I have soft spot for this type of colour. I tend to wear very bold lipstick, but this is almost in a neutral territory for me because it is lighter and not too bright while still punchy. 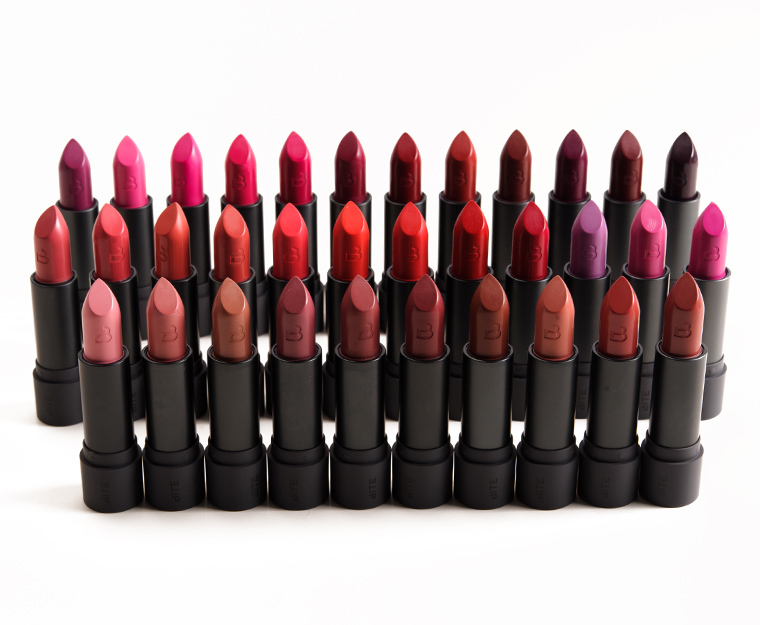 The Amuse Bouche formula is also my favourite lipstick formula and, in my experience, amazingly consistent across different colours. I've loved every single Amuse Bouche lipstick I've bought. 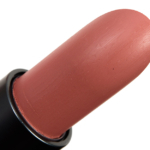 This one is opaque and lovely and moisturising and a dark pinky colour. By Yana 2 years ago. Honestly, everyone says these are super moisturizing, but on me they're not. I wore Fig on moisturized lips in a not-too-dry environment, and while the colour wore quite well, it settled into every last line and made my lips drier. 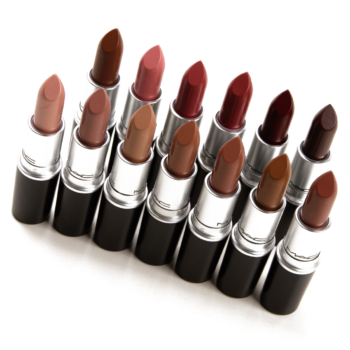 Pros: the colours are beautiful, they're pigmented, and they last pretty well for a bullet lipstick. Cons: not the moisture they're supposed to be. Not really worth the price tag at all. 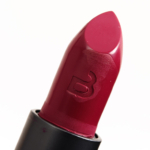 This lip colour is a beautifully pigmented berry colour, smells amazing (without being overpowering), and is very moisturizing. The colour builds nicely, although it settles into any creases in my lips after a few hours. It also may leave your lips a little bright pink after as I noticed it stains slightly. I have seen a lot of green lipsticks, and although green is my favorite color, I usually pass them up because they don't seem very wearable, especially not with my pale complexion. 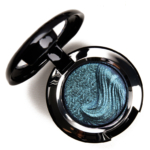 But Kale is surprisingly wearable, especially if you add some sort of sparkly pigment to the center to give it a little extra depth. 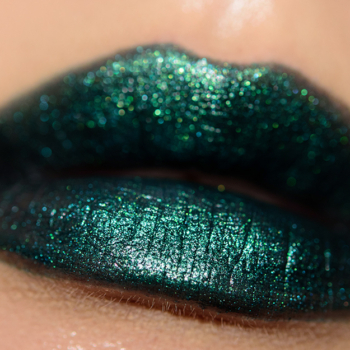 What I love about this color is that it is a deep blackened green, so it's very sophisticated. It doesn't look cheap or Halloweeny or gimmicky. It looks dramatic! I also like the Bite Beauty Amuse Bouche formula, which dries down to a satiny almost-matte finish without drying my lips out. 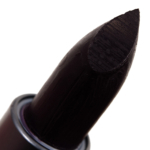 It is a little difficult to apply this one neatly, and since it's such a dark and unusual color, any feathering or smudging really shows. Otherwise it's perfect! By Osianna 3 years ago. This is the first green lipstick I've ever bought. 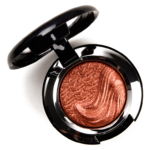 Other shades scared me; this one was calling my name! Pictures don't do Kale justice but Christine's close up with flash is close. It's almost a pearlized finish. It even makes my teeth look whiter, which I thought was impossible with a green lipstick. It's VERY pigmented but came off easily with my makeup remover. Bonus: it's hydrating on my lips and stayed put, even when I accidentally smudged it when I changed shirts. Kale is a totally wearable shade and I have a feeling I'll be wearing it a lot this summer. This formula is my new favorite. 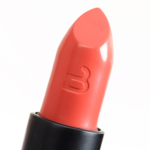 Intense color payoff and it hydrates my lips! Doesn't feather on me. I was able to wear it to do my farm chores; two hours and a lot of "glistening" later and the lipstick was still perfectly in place. 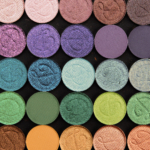 I'm so impressed, it's taking all my self control not to buy more shades! I'll be wearing this and Kale a lot this summer and fall/winter.